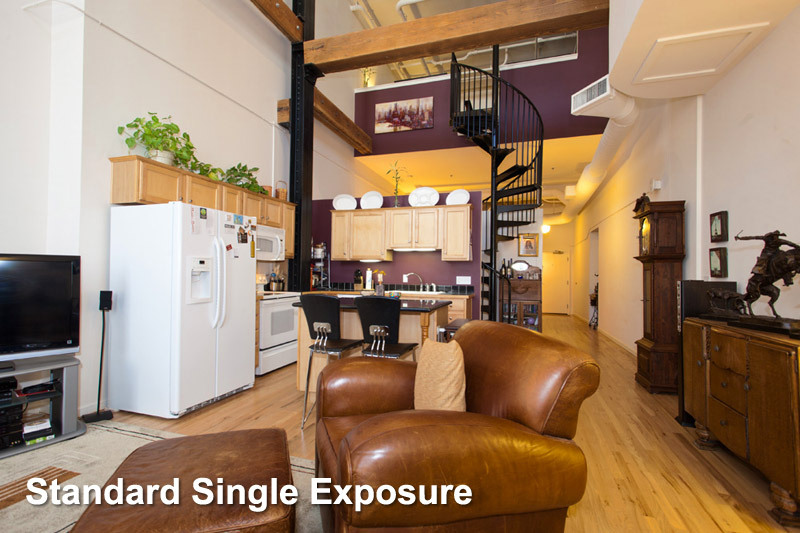 To give you the best photographs we use the High Dynamic Range or HDR process. This is where we super impose at least 3 exposures over the top of each other. This gives a more accurate, realistic impression of both the exterior views and interior rooms. Each photograph is processed twice. First we merge the exposures together, and then we process each photograph for color fidelity and remove other distortions.